I’m flying to San Francisco tomorrow and so you’re unlikely to hear much from me until Intel’s IDF starts on Monday so before then I thought I’d promote a couple of reports and offer them to you as an e-pub so you can read them at your leisure over the weekend. Of course, you can read them online here too. Let me know if you download it and have a great weekend. 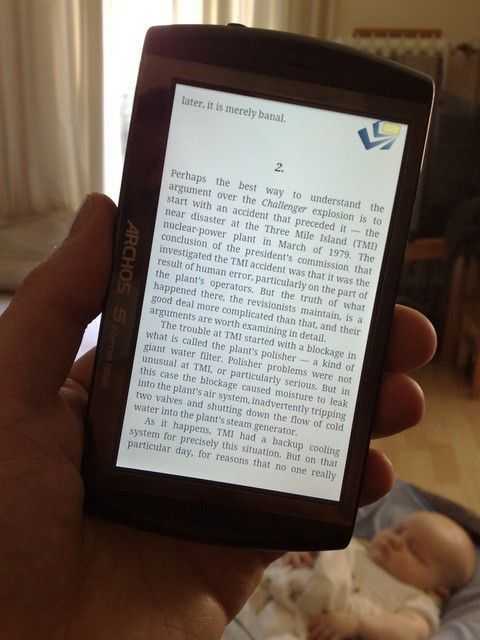 Mirasol Demo Proves Dual-Screen Readers have a Short Lifeline. Before you watch the video below, take a look at the video I shot of the Entourage Edge at CES. 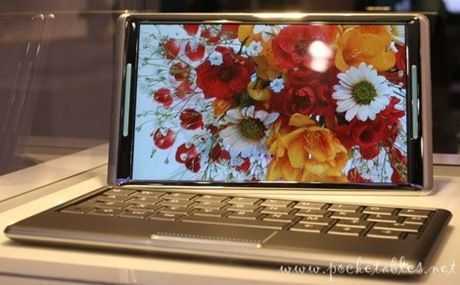 It shows a dual-screen reader with E-ink/E-paper and traditional LCD technology. It’s huge, heavy and will be expensive to produce. There’s no reason to have two screens apart from a comfort factor (it looks like a book) and to get round the limitations of LCD and e-ink displays. The latter problem, as I suggested in the article, can be solved by using a dual-mode screen; that is, one that can be used as a high-refresh-rate transflective display using ambient light and as traditional back-lit solution. Qualcom’s offering is the Mirasol display technology which, like the Pixel Qi technology, offers an amazing experience in ambient light without the need for a backlight. The difference between the two solutions seems to be that Pixel-Qi is a standard LCD screen offering high refresh rates but only a black-and-white ambient light experience. The Mirasol display has a lower refresh rate but offers color in the ambient light scenario. Refresh rates on the Mirasol technology don’t appear to be good enough for a smooth HD video experience (I’m guessing we were seeing about 10fps in the demo) but for the ‘snacking’ that many of us do when browsing and reading magazines, it seems perfect. I’d love to see a Snapdragon-powered version of this as a home browser, music player, book reader and maybe even car navigation device. The days of the dual-screen as a workaround for the limitations of e-ink and traditional back-lit LCDs are numbered. Omnia HD. MID, Smartphone and The End Of The Tweener. The Omnia HD is something that all MID fans should be taking a close look at. 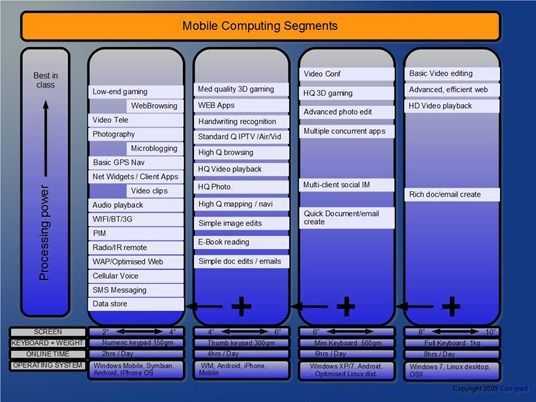 It highlights how close the ARM-based platforms are to Intel’s MID platforms. In fact, in many ways, the Omnia HD looks like one of the best MIDs so far with longer battery life, smaller form factor, 720p video recording and a mobile-focused software suite that addresses new mobile markets. It’s an incredibly converged product but at the same time, you could call it a tweener. Neither a 24/7 phone or high quality mobile internet device. I intend to re-visit the Omnia HD by testing it in full in the near future but in the meantime, take a look at the specifications when placed side-by-side with the most popular tablet MID of the day and lets think about how the Omnia HD highlights that there is no such thing as a tweener. CPU Intel Atom 1.3Ghz (Menlow platform) ARM (Cortex A8) 800Mhz (OMAP platform) Atom estimated 2x processing power. Wifi BT 3G (data only) Wifi BT 3G (voice and data, HSUPA) Voice convergence is important for some. HSUPA important for Europe. 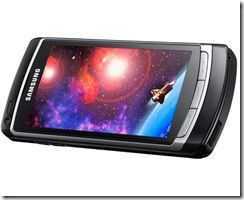 1024×600 4.8 inch screen (250dpi) LED, resistive touch. 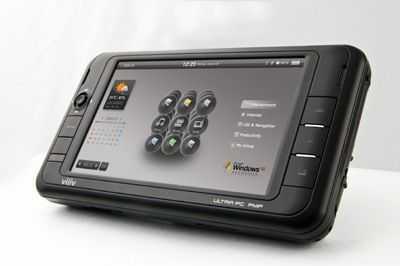 640×360 3.7 inch screen (approx 180dpi) O-LED, capacative touch, O-LED will give outdoor readability issues. 640×360 restrictive for web browsing. GPS (no software) GPS plus Navteq maps and social networking. GPS software for XP is expensive. 5hrs online Est, 3hrs online (based on hsdpa talk-time) For online use, the Viliv wins but the Omnia is more efficient. 10hrs standby (on, screen of) 600hrs standby (on, screen off) Always-on is important for comms! Windows XP plus touch UI Symbian S60 plus mobile software suite (TouchWiz) S60 is mobile-focused (some exciting next-gen social and LBS apps available) but no desktop app compatability. No cam 8mp cam with 720p recording 720p recording is a huge bonus for the consumer. Video playback â€“ 720p flexible support, 6hrs Video playback â€“ 720p, 4.5hrs Similar video capability. XP comes with only WMV support out of box. Storage 60GB Storage 16GB + Micro SD Big storage on the Viliv compared to Omnia. Browsing: Desktop quality, sub 10-second average, full flash and plugins Browsing: Limited quality. Estimated 20s page load time. Omnia browsing will fall way short of a desktop experience. 3D graphics: Power VR SGX 3G Graphics: Power VR SGX Snap! Component, S-video out, VGA HDMI Out Digital output on Omnia turns it into a better set top box. Full desktop software capability Mobile-focused software capability Viliv S5 allows you to carry on using your desktop software. Desktop software is, however, expensive. Brand unknown outside Korea Top-tier global branding. Provides consumer confidence. 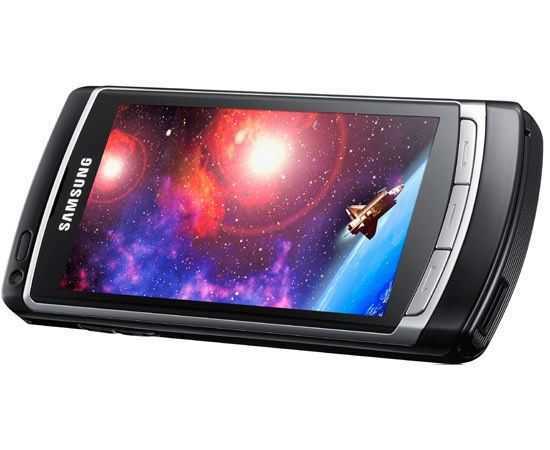 Clearly the Samsung Omnia HD has specifications that are very close to one of the best Intel-based MIDs on the market. You’re looking at an extremely capable hardware platform that provides consumer-focused MID, PMP, PVR and PND-like capabilities in a 24/7 voice-capable form factor. It’s also got mature, consumer-friendly mobile-focused software that tackles new mobile usage scnearios and it’s reached the market before anyone else could with Intel-based MIDs that are targeted at the same usage scenarios. For some it’s going to be seen as the ultimate converged device and one of the best ‘MIDs’ on the market. Look at it from another angle though and you see a different story. If you want a 24/7 phone, the Omnia HD is very very expensive and for most people, too big. If you’re looking for the best quality mobile web browser, PND, PMP or microblogging device, it falls short on either screen size, keyboard or software. As with most converged devices, it takes new, exciting usage scenarios and lever’s them into compromised form factors. What I see with the Samsung Omnia HD is a device that underscores exactly the emerging scenarios that MIDs are targeted at. It’s providing a taster of things to come. If these scenarios develop, the new ecosystems created could support dedicated devices that fit in the space between the smartphone and the netbook. With technology like the Texas Instruments OMAP 3 platform and Intel’s Moorestown available to OEMs, it will only be a matter of tweaking the design, the software and applying the right marketing to slot the variants into the new ecosystems. How about dropping the Omni HD’s internals into a Nokia N810-like form factor and increasing the screen to 4.8 inch with 250 DPI to improve the focus on mobile geo-enabled social networking? 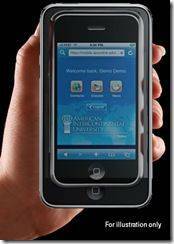 How about adding a powerful photo flash and video editing software to enhance mobile photo capabilities and add how about adding a daylight-readable 6″ screen for a move into the ebook market? 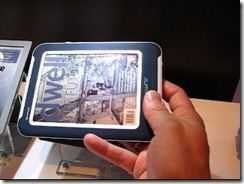 Think about an iPod Plus, a Kindle with a fast browser and think about the next Nokia Tablet. A Techcrunch Crunchpad or a Google Lattitude Social Tablet. A Canon/YouTube device or even a dedicated Vodafone/BBC iPlayer. I don’t propose that all of these are winning business opportunities but I bet there are a few opportunitues in that list for dedicated devices that people have called ‘tweeners’ in the past. The real story here is three-fold. The Omnia HD highlights how advanced and flexible the latest smartphone platforms are. It highlights that new usage models are emerging and that if these ecosystems grow, there will be opportunities for dedicated devices. Thank-you Samsung for highlighting that the MID concept is on the right track and that the end of the Tweener-era is nigh. The word ‘concept’ is not an easy word to write here. I want to say ‘product coming’ instead! This image is from Pocketables.net who have a few more that you should take a look at. I have a feeling that by using the best available display technology and platforms like Menlow designers could come up with some incredible umpcs and e-reader devices. 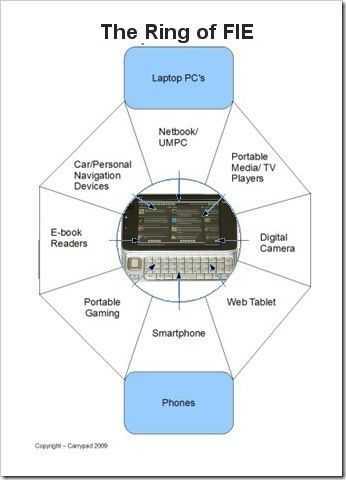 And when I say connected e-reader devices I mean everything from locally stored ebooks and PDFs to live webpages. The modern-day newspaper. I’m imagining a slick UI and a capacitive touchscreen and an OS and hardware that offers the normal desktop PC experience. MmmmmID-Tastic! Check out Pocketables for more pics. Why an iPod Plus is more likely than an Apple Netbook. Following Apple’s moves is a complex but fun and stimulating activity so here’s my take on the big, crazy, risky business of predicting where Apple will move. I think they will move up the Ipod chain rather than down the notebook chain and here’s why. Netbooks are cheap and in my head, I just can’t get past that simple thought. Apple can’t make a netbook as it would seriously risk de-valuing every other product in their portfolio and, due to the required sales numbers and relative complexity of OS X, could screw their global support operations. 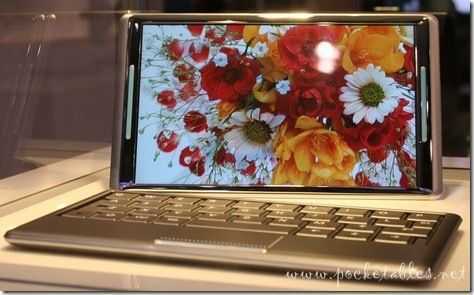 An $899 10″ mini-note is possible, I agree, but despite sizing similarities, it wouldn’t be a netbook would it. Mind you, you can guarantee that every netbook web site will cover it like there’s no tomorrow! I will end that argument against netbooks there but they do play a part as I get to the details of my prediction below. There are three other options that I see for Apple. The first is one of incremental change. Small improvements all-round. The problem with that is that the last Apple event felt like just the same and losing momentum right now could be an issue. Then again, major production-line investment for a new product could also be risky but given the fact that Apple have plenty of cash and that there are probably production lines out there just begging for a large production run, maybe that’s not the risk it could be. The second option is some sort of 7″ notebook or tablet. While I, and many of you, like this style of device, we have to be honest and say that the productive ultra-mobility market is probably too niche for Apple. There’s a chance of a simple, slim 7″ iPod touch and a push into e-books, sofa surfing, sofa-gaming and turn-by-turn navigation on the existing iPod Touch hardware and software engine but while interesting and, to me, quite exciting, I don’t see a 7″ Apple tablet happening as again, it could be too niche. Filling the hole that will eventually be left by dwindling MP3 player sales [Yes, Christmas iPod sales are buzzing along but in general, I see the dedicated MP3 player market dropping away over the next few years] providing some of the features of the above, 7″ device, retaining mobility and building on the money-making app audio and video-store is the key which indicates to me that a slightly larger iPod touch with better storage, video, navigation, ebook, web experience and perhaps data-only 3G would be a more attractive and solid base to build on for the future. 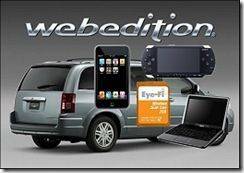 Chrysler offers 4 mobile devices for $2000. But are they the right ones? 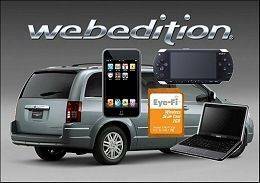 Chrysler are introducing a ‘web-edition’ mobile Internet device package for their cars which comprises a Wifi/3G router with one year of 3G data contract, a Sony PSP, a Dell Mini 9, an Apple iPod Touch and Eye-Fi wifi/sd card. The option price is $1999. 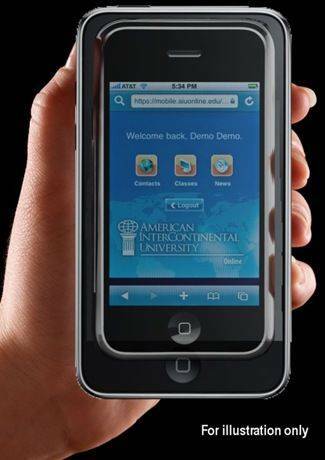 Mobile Internet Mobility! It got me thinking, given $2000 and assuming you had no mobile devices, what devices would you choose? You’d need to cover the following mobile scenarios.